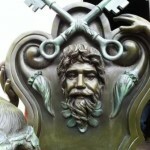 Home » general » Help us find out where these mermen came from? Help us find out where these mermen came from? Wow! 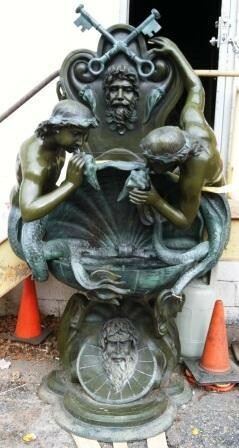 Community Forklift received this amazing bronze sculpture fountain and we are trying to find out more information. It was commissioned for a building in Virginia and somehow ended up here. The fellow who dropped it off said it was originally commissioned for $20,000! We are excited to find out more about this unique piece! 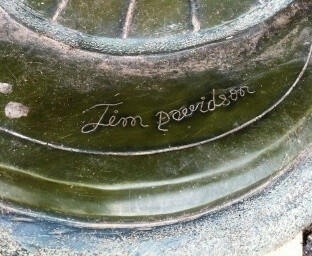 The sculpture is roughly etched with the name Tim Davidson at the base. If you know anything about the style or origin of this sculpture please share your knowledge!